Not your Grandfather's lead BBs! 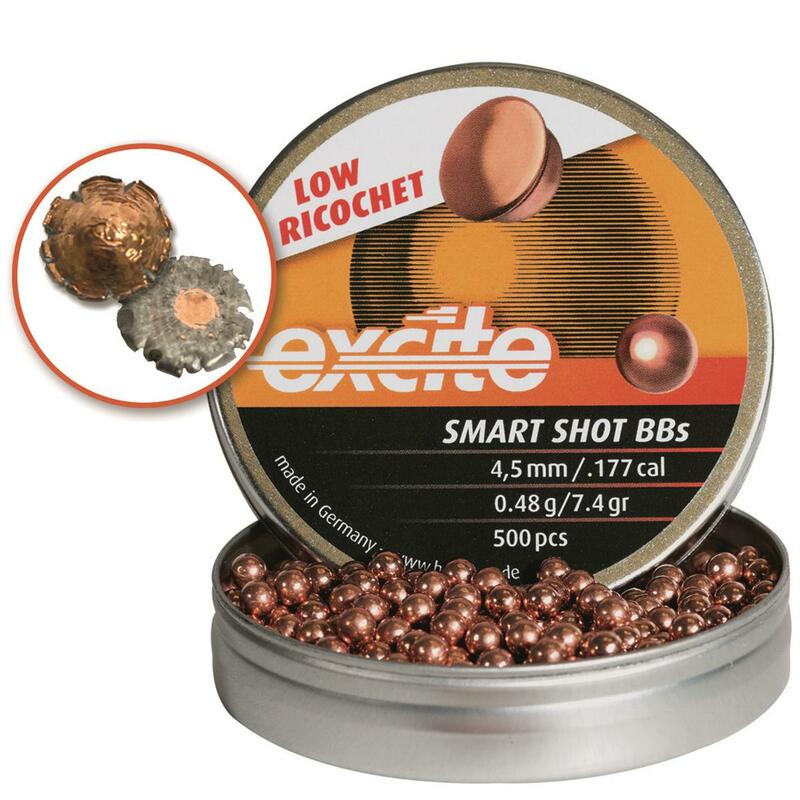 These H&N Excited Smart Shot Copper-plated Lead BBs are just the ticket for indoor ranges or blasting steel targets. And the best part? Absolutely no bounce-back or ricochet! H N Excite Smart Shot, .177 Caliber, Copper-Plated Lead BBs, 7.4 Grain, 500 Count is rated 5.0 out of 5 by 1. Rated 5 out of 5 by Mark from Get More Out Of Your BB Guns. These are ideal when using an air pistol or BB gun for pest control. The low ricochet quality helps minimize safety issues. The next best thing to using pellets. Bring the sizzle to your air rifle!